Water Storage Kit - Aquascape, Inc.
Aquascape Water Storage Kits are the easiest way to create a sub-surface water storage reservoir for use in rainwater harvesting systems. The completed underground reservoir can be used to store gallons of collected rainwater. 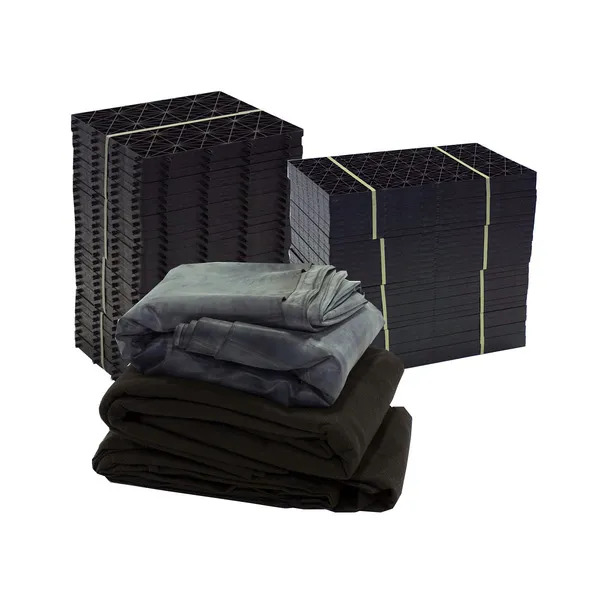 The pre-packaged kit comes complete with AquaBlox® Large Water Storage Modules, a 45 mil EPDM Liner, two panels of Non-woven Geotextile Underlayment, and Pondless® Waterfall Vault Extensions. A variety of available water storage kit sizes allows you the flexibility to choose the reservoir size that best suits your application.